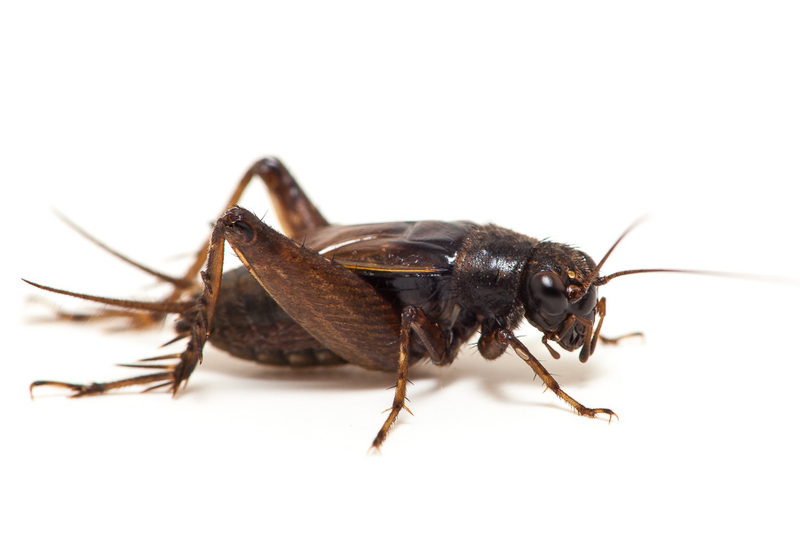 Song of a Southern Ground Cricket (scroll down for explanation and additional recordings!). Southern Ground Crickets are indistinguishable from Striped Ground Cricket. They are common in the southern states. At the northern edge of theire range there is a large area of overlap where the two species, and hybrids, can be found together. 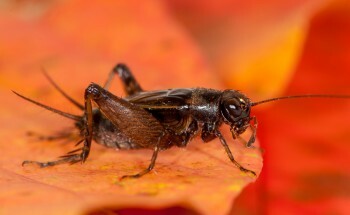 Southern Ground Crickets are found from Maryland south through Florida and west to eastern South Dakota, Nebraska, and Texas. 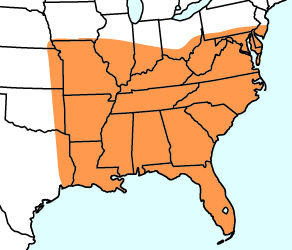 The zone of overlap with Striped Ground Cricket is at the northern edge of their range except for WV, where most of the state seems to have both species. Song: A regular series of high-pitched, metallic chirps (brief buzzes) given at a brisk rate of about four per second (twice the rate of the Striped Ground Cricket.) Each buzz is made up of of 8-10 pulses with a frequency of about 8 kHz. A very warm Striped Ground Cricket could sound like a Southern Ground Cricket. The chirps of each species are indistinguishable. The interval between chirps is shorter, by nearly half, in Southern Ground Cricket.